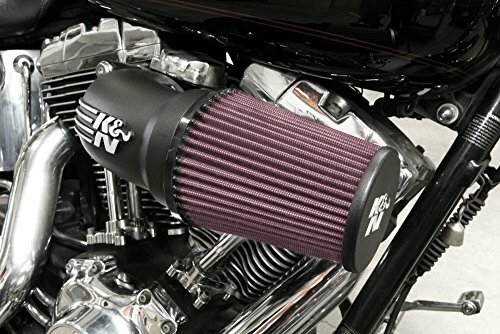 K&N AirCharger air intakes for select Harley-Davidson Touring, Softail, Twin-Cam and Sportster motorcycle models increase power by eliminating the restrictive stock OE air cleaner and replacing it with a K&N high-flow air filter and cast aluminum intake tube. 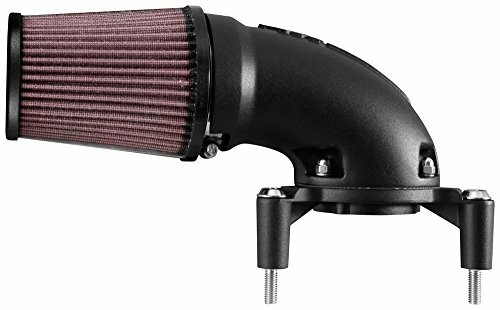 These intakes come with an die-cast aluminum throttle-body mounting plate and mounting hardware. 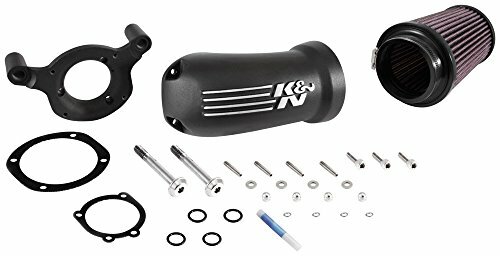 K&N high-flow intake systems give your Harley an aggressive appearance while providing a significant increase in airflow resulting in more power. 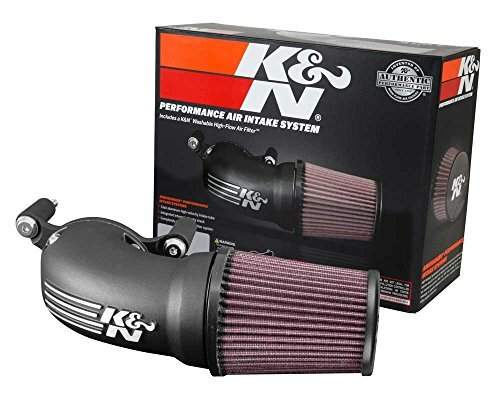 These K&N air intakes are street legal in most states. They are not legal for use in California and other states adopting California emission standards.